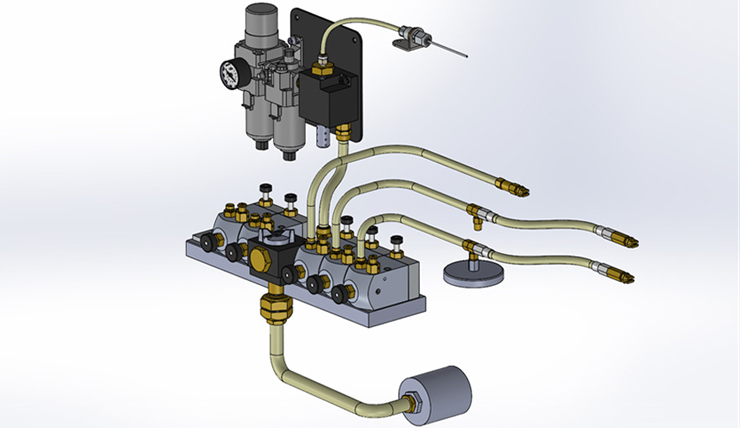 A high pressure airless spray lubrication system with individual volume and velocity control to each nozzle. The basic design of the PresSpray-II is simple but functional. The PresSpray II uses positive displacement pumps to dispense lubricant in a fine airless spray. The systems come prepackaged so that the end user can install it in minutes. PresSpray II systems are flexible with the ability to add up to 12 ejectors per system. 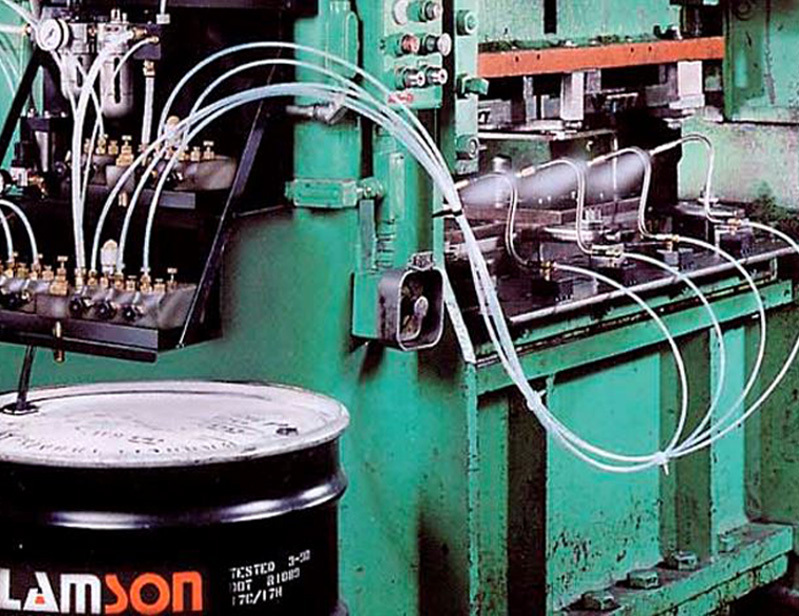 That's why we call this equipment, "The Next Generation of Die Lubrication." 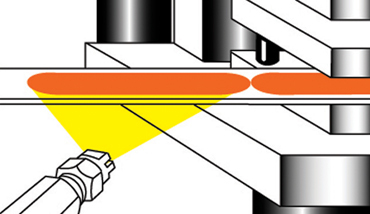 How The PresSpray II Works. Each nozzle is controlled by a separate Ejector. 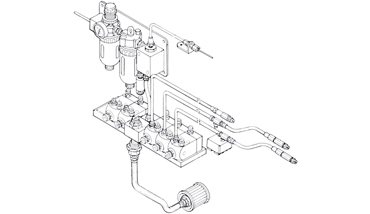 When an actuator switch is tripped either electrically or manually the Univalve air valve dumps air into an air manifold triggering all assembled ejectors. The nozzle spray patterns are individually controlled with the volume and velocity controls on each ejector. The PresSpray II is a modular system that is mounted on various reservoirs or brackets. 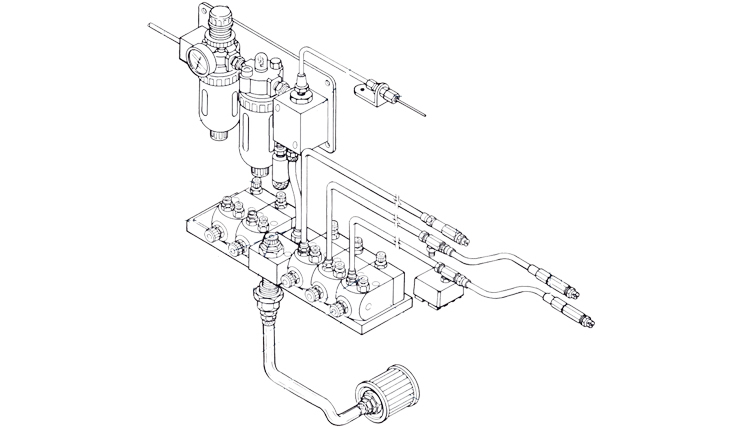 Open the Lubricant On/Off Valve, and lubricant is carried through the Manifold to each ejector. 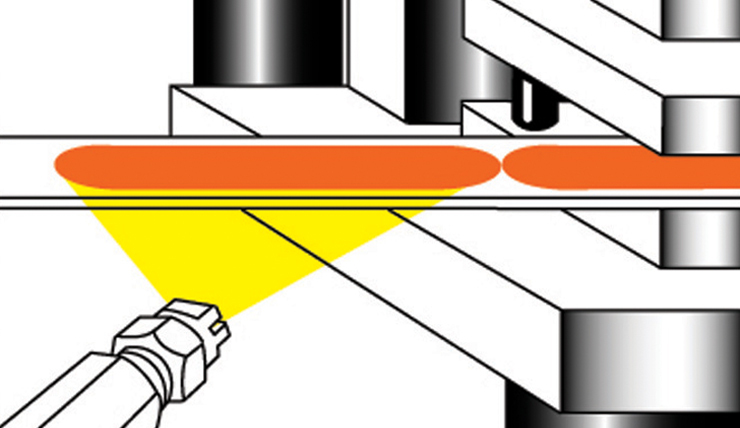 For large presses, it makes sense to to install two smaller systems, one at each end of the press. Each system can be gravity fed from its own reservoir or froma centralized system. PresSpray II was designed to handle a variety of jobs. Most dies can be lubricated by synchronizing the spray directly into the die, but other jobs may requie lubricating prior to material entering the die, making a special nozzle, or even building nozzles into the die.